Former teacher Les Robins is a great example of someone who spent their lottery winnings on something altruistic. After Robins won the lottery in 1993, he opened a camp for children called Camp Winnegator that unfortunately has since closed. Including riding stables, miniature golf, a gym and a pool, the summer camp was situated on 226 acres in Wisconsin. He was inspired by his childhood in Florida and memories of attending camp as a child and as a camp counselor. John and Linda Kutey won the lottery in the state of New York, and used their winnings to help build a $250,000 water park in Green Island. The couple, who now live in Florida, inquired of their town to determine what the best use of the money would be for the community. The Kuteys made a trip to New York for the grand opening and dedicated the park to their parents. A Wrestling Show? Why Not? Some lottery winners use the proceeds to fulfill their wildest dreams. For Jonathan Vargas, apparently, that was to create a ladies wrestling show. It was called Wrestlicious, and it was founded in 2009 after Vargas won millions in the South Carolina lottery at the ripe old age of 19. Often compared to Gorgeous Ladies of Wrestling, the promotion has since ended, but claims to be returning sometime in 2018. Bob Erb won the lottery in 2012 and has since given much of it away. From donating gobs of money to the cause of marijuana legalization to giving cash to homeless on the street, Erb estimates he has given away at least $8 million of his winnings. After eating at a diner and hearing about the owner’s adult child battling cancer, the Canadian do-gooder left a $10,000 tip to help her beat the disease. 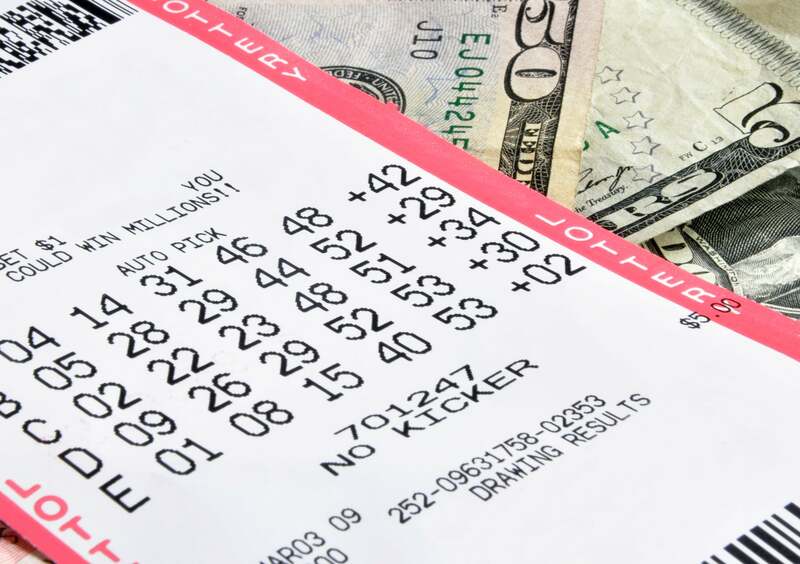 Lottery winnings have the tendency to allow people to become more generous with their money. But lottery winners Allen and Violet Large’s generosity takes the cake: they donated it all. After winning over $11 million, the Canadian couple in their 70s decided that amount of money was too much of a headache. After giving money away to their family and friends, they donated the rest to hospitals and charities in Nova Scotia. They also contributed to the Red Cross and The Salvation Army. Brits Tony Pearce and Deb Gellatly decided to use their lotto winnings to finally have the wedding of their dreams. Engaged for over 30 years, they never felt that they could afford to tie the knot. The couple had suffered from expensive illnesses that sent them into financial hardship. Winning £1 million gave them a chance to heal from their financial woes and finally walk down the aisle. Wisdom with money will make the difference between financial peace and intense financial strife. For your best chance at success and to determine whether to save or invest your capital, be sure to consult with a financial adviser. Whether you’ve received a sum of money from the lottery or from an inheritance, or if you’ve been saving up on your own, if you think you’re ready to take the step to homeownership, get in touch with a OneTrust Home Loans loan officer who can work with you to find the options that work best for you.